Built-in FM transmitter, full frequency: 87.5-108.0 MHz. Plug the FM transmitter into your vehicle's cigarette lighter or power port. 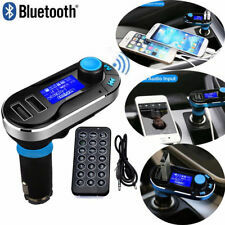 Using FM transmitter function Bluetooth hands-free function. Bluetooth hands-free kit, with built-in microphone. Tested and refurbished for quality. iOS/Mac users: Samsung Gear IconX can be used to stream music or take calls from your iOS handset or tablet. Fitness Functions that require the use of Samsung S-Health app are not available for iOS. Headphones are in working condition and include original box, and usb cord. Boxes may have stickers or box wear. Connectivity Technology: Wired. Flexible headband with sling allows for easy, single sided listening and maximum durability. Perfect for deejay use. Bluetooth: Version 2.1 EDR (supports A2DP, AVRCP, HSP, HFP). 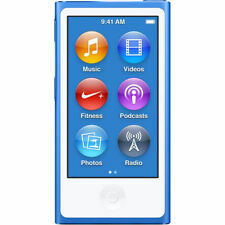 Support: MP3, WMA Audio format via AUX-IN/USB/TF Card Slot; USB output Charging. USB port: Single USB. 4 Pieces of Micro USB cables: one in car, one in bedroom, one in living room and one in office, no more need to look around for a cable whenever you need one. With a well balanced audio boasting a clear midrange and extended highs, the Acton speaker gives an experience that is both articulate and pronounced. Its devilish good looks draw inspiration from over 50 years of Marshall design. 5 out of 5 stars - Rockville RPB27 20w Rugged Portable Waterproof Bluetooth Speaker w Bumping Bass! 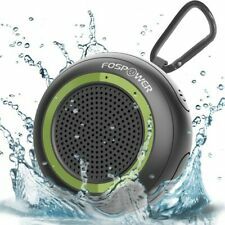 12 product ratings12 product ratings - Rockville RPB27 20w Rugged Portable Waterproof Bluetooth Speaker w Bumping Bass! SKULLCANDY INK'D w/MIC (BLACK) WIRED HEADPHONES (S2IKDY-003) *New in Retail Box! SKULLCANDY INK'D w/MIC (BLACK/BLACK) HEADPHONES (S2IKDY-003). You will receive SKULLCANDY INK'D w/MIC (BLACK/BLACK) HEADPHONES (S2IKDY-003). This is a MUST HAVE for all! 5 out of 5 stars - SKULLCANDY INK'D w/MIC (BLACK) WIRED HEADPHONES (S2IKDY-003) *New in Retail Box! 1 product rating1 product ratings - SKULLCANDY INK'D w/MIC (BLACK) WIRED HEADPHONES (S2IKDY-003) *New in Retail Box! BLUETOOTH CONNECTIVITY - Use your Bluetooth-enabled smartphone, tablet or computer to stream music directly to your Acton with no wires attached. Bluetooth Standard V4.0. Kink-free and extendable, it's your music device's connection to a world of great sound. Proprietary 40mm Large-aperture Drivers. Deep, accurate bass response. High-quality Built-in Microphone and NFC Technology. COWIN E7 provides high-quality built-in microphone for hands-free calls, Which is convenient for you to free yourself from wires. 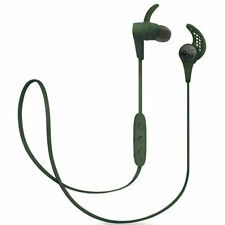 SoundSport Free wireless headphones. Usually Factory Renewed products don’t look any different than new products. A better athletic performance takes years of effort. And we’ve been working on it for decades. 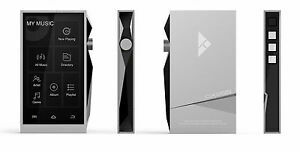 Includes : 1 pair ofWF1000X Bluetooth earbuds device, storage box charging station, and sync instructions only.No other accessory included.